Poland, c. 1800. 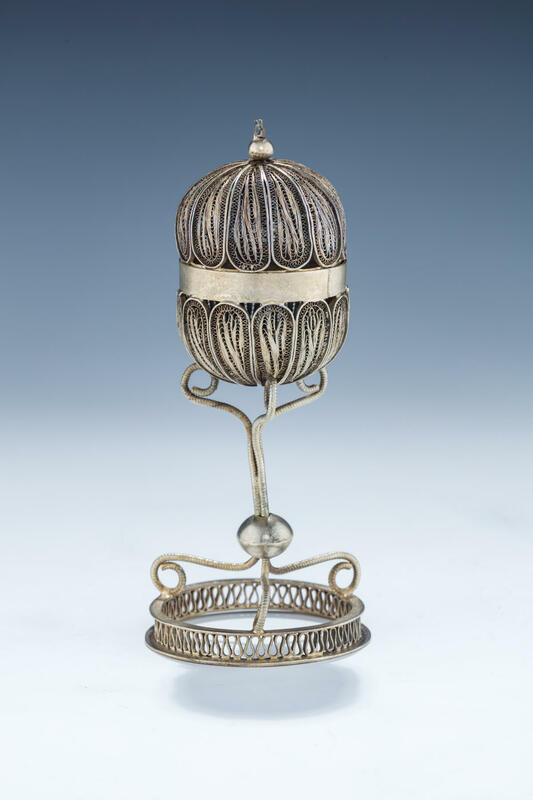 On round filigree base connected to large two part filigree spherical body by three wire stems. 5.8” tall.